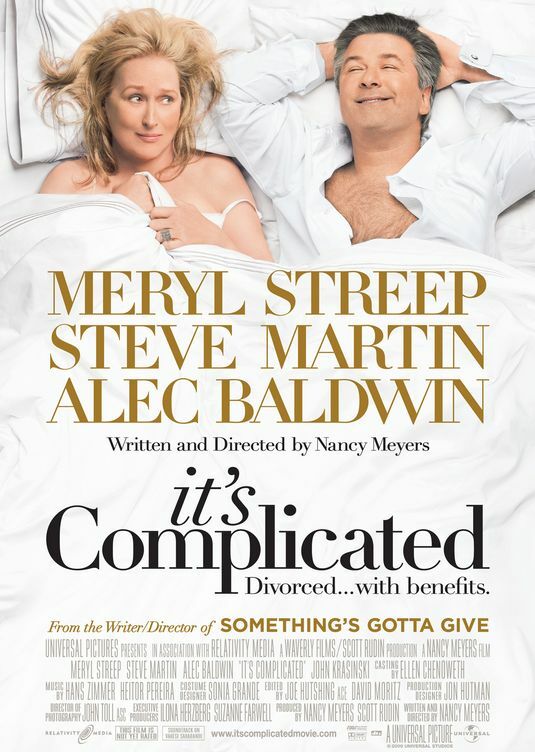 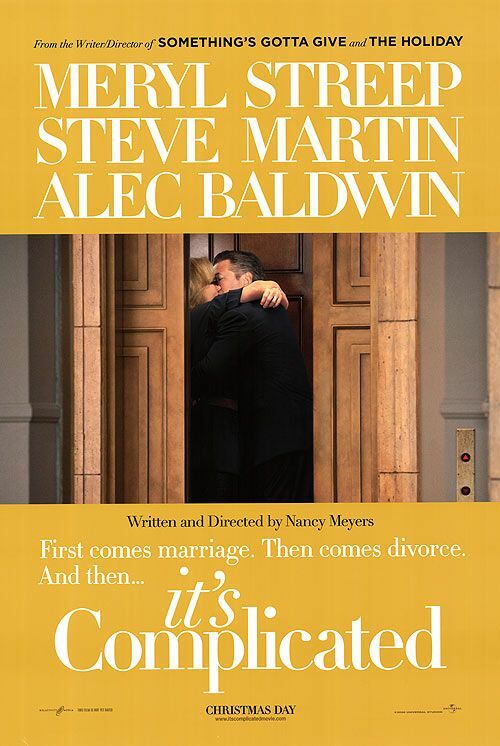 In Nancy Meyers 2009 movie, It's Complicated, Meryl Streep stars as the divorced 'Jane Adler' who finds herself unexpectedly romantically involved with her remarried ex-husband. 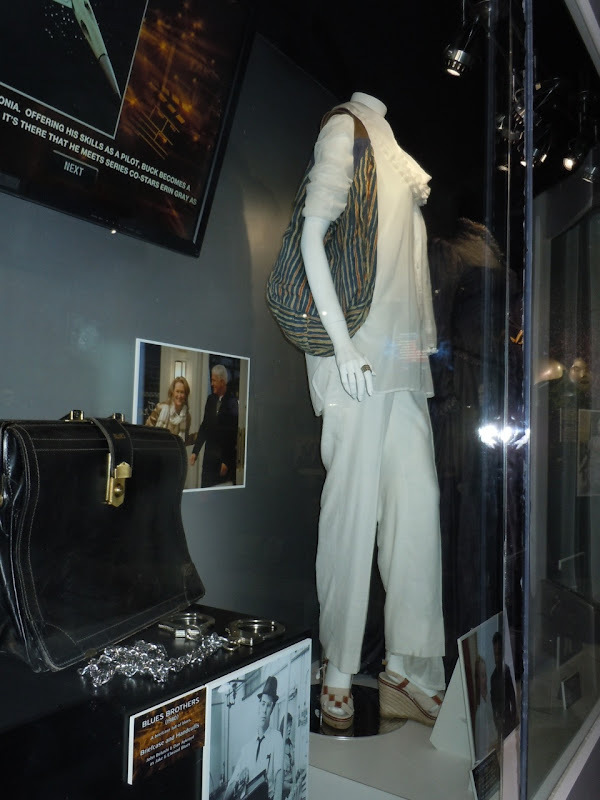 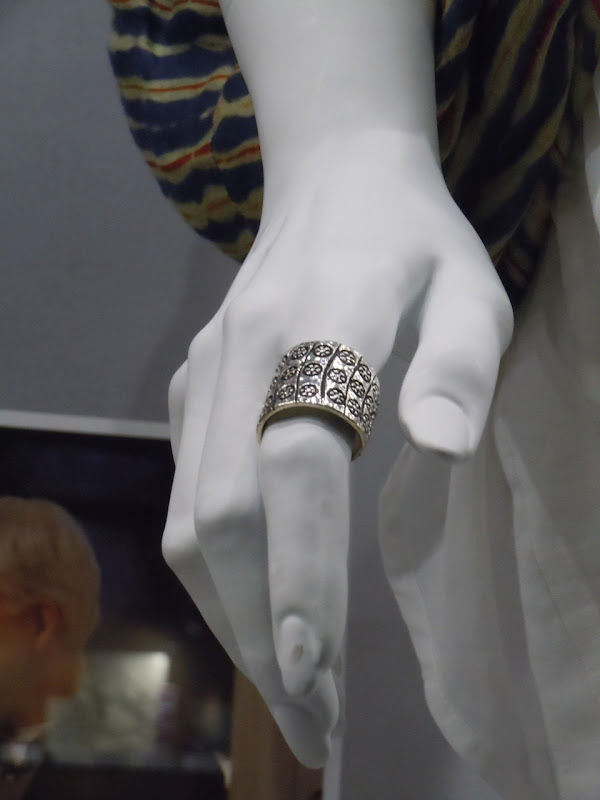 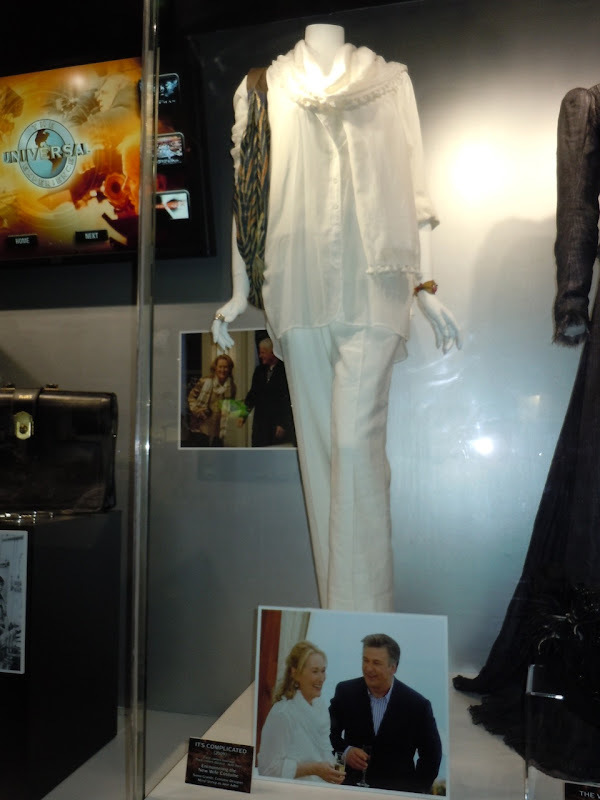 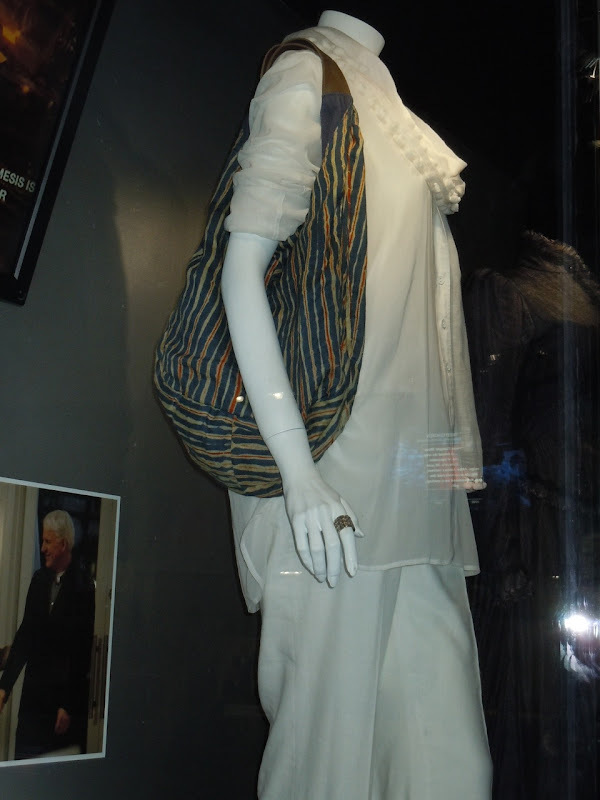 This original outfit from the romantic comedy was worn by Meryl Streep when she meets the new wife of her ex-spouse (played by Alec Baldwin). 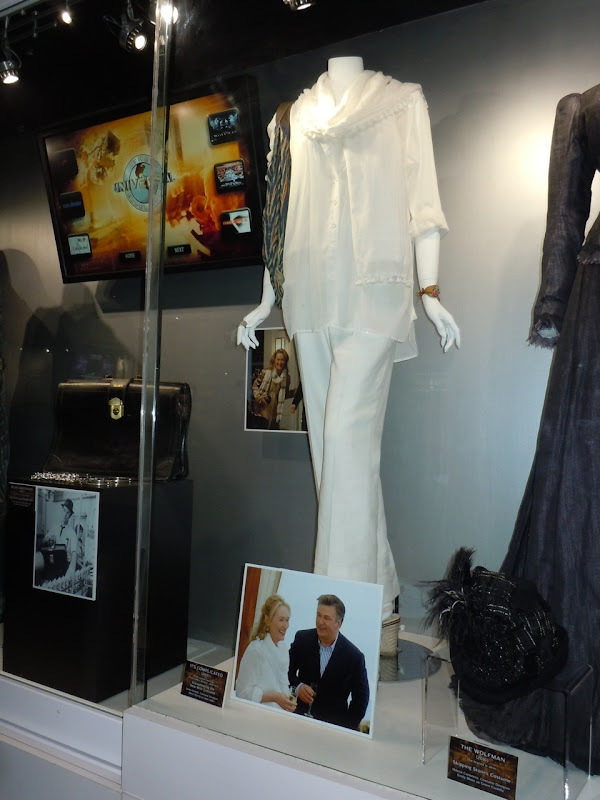 This original movie costume was snapped on display at Universal Studios Hollywood on January 7, 2011. 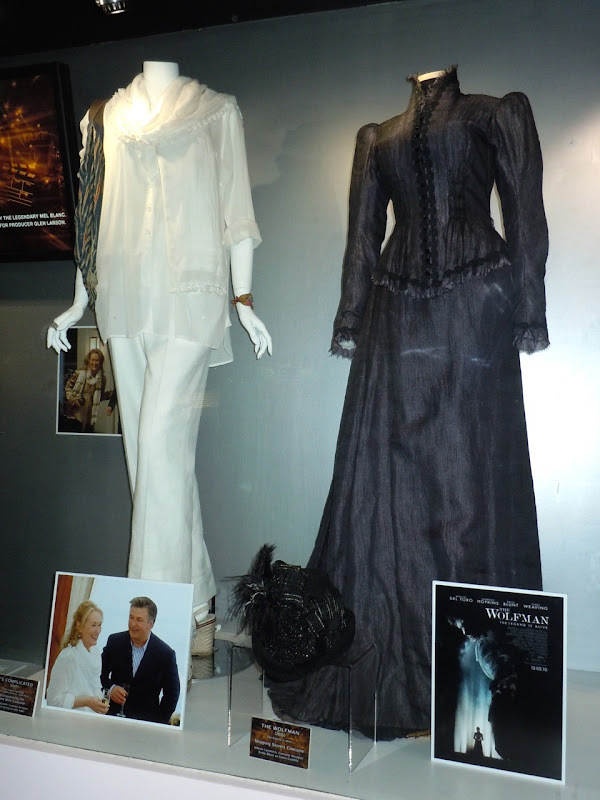 Costume Designer Sonia Grande was responsible for the look of the wardrobe on the movie. 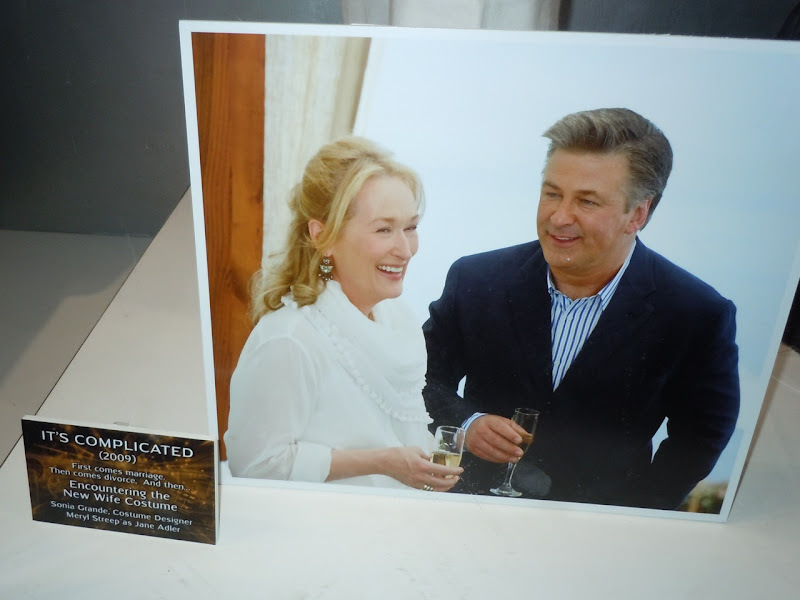 If you like this costume be sure to check out Meryl Streep's party outfit worn in It's Complicated too. 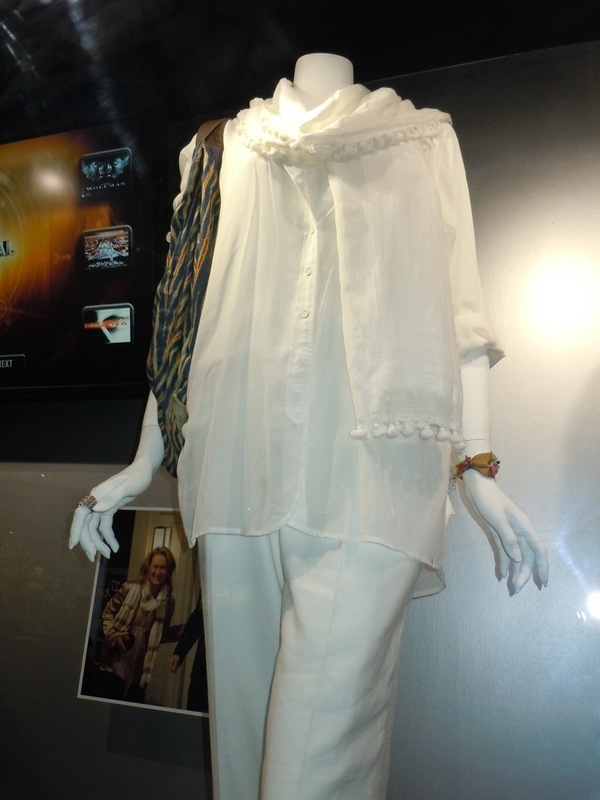 I love this outfit so much but I loved the earrings she wore with this outfit the most. 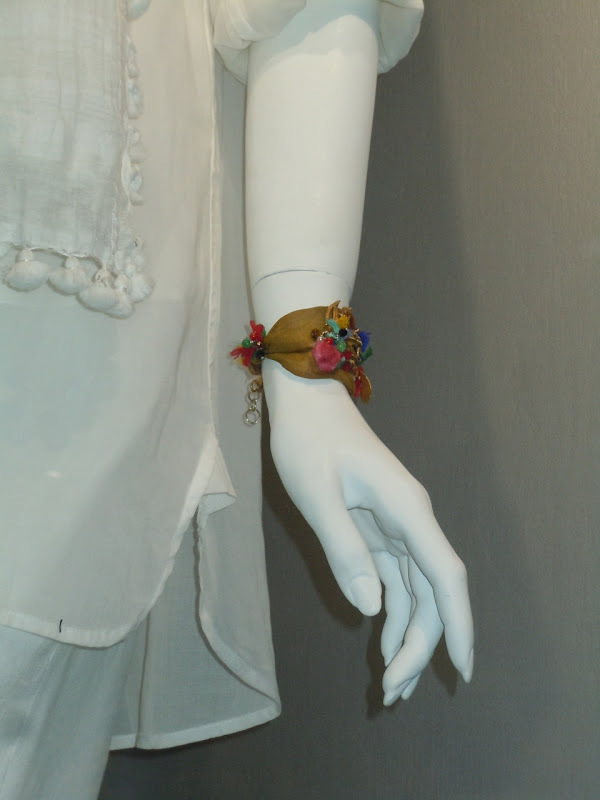 Any idea where those are from or who made them?